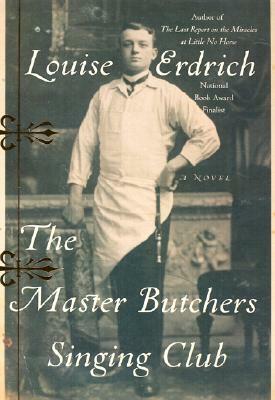 From National Book Award-winning, New York Times-bestselling author Louise Erdrich, a profound and enchanting new novel: a richly imagined world "where butchers sing like angels." Having survived World War I, Fidelis Waldvogel returns to his quiet German village and marries the pregnant widow of his best friend, killed in action. With a suitcase full of sausages and a master butcher's precious knife set, Fidelis sets out for America. In Argus, North Dakota, he builds a business, a home for his family--which includes Eva and four sons--and a singing club consisting of the best voices in town. When the Old World meets the New--in the person of Delphine Watzka--the great adventure of Fidelis's life begins. Delphine meets Eva and is enchanted. She meets Fidelis, and the ground trembles. These momentous encounters will determine the course of Delphine's life, and the trajectory of this brilliant novel.